When you set out to purchase any type of flooring there is some basic information that you need to know. This includes things such as pricing, maintenance requirements, and durability. You then have to pick a material which matches your particular situation. This will ensure that your flooring is cost-effective, resilient, and able to withstand the rigors of the environment it is being placed in. 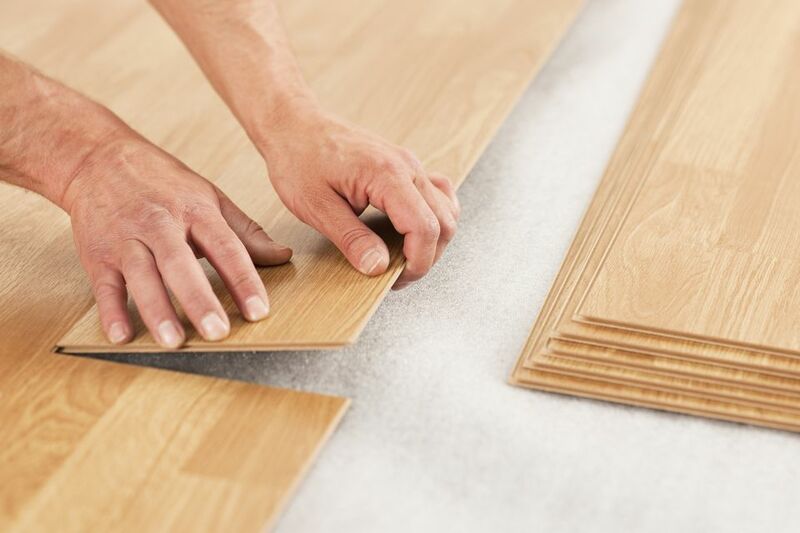 In my latest article, I discuss the ins and out of buying laminate flooring. Durable, inexpensive, and easy to maintain, this is a great floor for high traffic locations. However, there are drawbacks to this material. Environmental considerations, as well as the inability to refinish these floors, makes many people think twice about purchasing laminate coverings. The following are a number of factors to consider, which can affect the overall price tag of a laminate floor. You can't just consider the retail cost, you also have to look at use and value over time. With laminate flooring, the installation is usually pretty simple. Most products will have "click together" designs that will simply lock into place like a child's toy. Others may require a small amount of adhesive to be used in order to secure them in place. This affects the price because it gives you the option to do the work yourself, effectively eliminating the added expense of having to hire professionals. With any floor, you can't just think about the cost at the time of installation. You also need to factor in how long the material will last, and how well it will hold up in a particular environment. With laminate floors you are buying a relatively temporary product, that will wear down over time and have to be replaced. That means that it may not be as cost-effective as other more premium options. Another thing to consider about the life cycle of laminate floors is that when the material needs to be replaced, it is relatively easy to remove it. With mortared products or nailed down items you will often have to do a lot of work or hire a contractor to get rid of the old surface covering. However, laminate can just be pulled or pried gently up, leaving the subfloor perfectly intact for further use. Floors does not exist in a vacuum, although a vacuum can be a great way to clean a floor. The main thing to remember is that the material you choose will have to be cared for over time. Some of the cleaning procedures for different products can be involved, rigorous, and require the purchase of a number of specialty items. Luckily laminate has a protective wear layer which actually keeps most of the dirt and debris off of its surface, making it easy to sanitize whenever you think it is proper. Cleaning laminate floors should generally only require you to sweep, vacuum, or dry mop on a regular basis. For more intensive cleaning regimens a very mild soap and water solution can be used to gently scrub or mop specific areas. However, it is important that you do not allow water to form in puddles, or stand on the surface of the floor for prolonged periods of time, as it can cause damage in insidious ways. Laminate floors are a great, low cost, low maintenance option for a variety of spaces. However they do wear over time, and they are susceptible to water damage, so be sure that you only employ them in locations which they can handle.